Our emotions often prevent us from seeing the full picture, causing us to make choices we regret later on. Here’s how to create the space needed to think with clarity and focus. 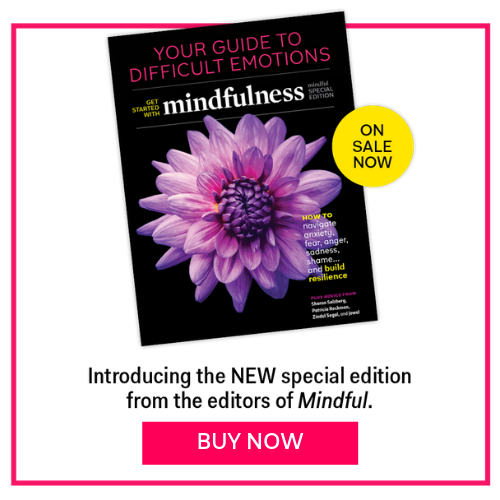 Whether it’s sending a passive-aggressive email to a coworker, or not speaking up when you have a great idea, or even saying something rude when you should have said nothing at all, we’ve all made decisions we regret—and then tortured ourselves by thinking, “What if I’d made a different choice?” That’s where mindfulness comes in. When we practice tuning in to the chatter of our minds and sweeping sensations of our bodies, and we learn seperate those triggers from the deep well of knowledge that is our innate awareness. By practicing mindfulness we slowly give ourselves permission to choose how we respond in the world. It’s pretty powerful stuff. Many of us are guilty of making decisions in the heat of the moment—during a fight with our partner, in the middle of a stressful work meeting, or even when you’re over-excited. But Parrish says making decisions when we’re heated increases our chances of making the wrong choice. The next time you find yourself faced with a big decision while you’re caught up in the emotions of if all (whether that be intense joy and excitement, or anger and frustration), Parrish recommends placing some space between yourself and whatever it is that has you excited by going for a walk, or giving yourself the night to sleep on it. Doing so helps defuse high emotions, so you can calmly consider how you really feel. Sometimes, we tell ourselves we are making a rational decision by taking the time to consider all options—but really, we only look at the information that confirms what we already believe. “Our ego doesn’t often let this [other] information in, it doesn’t process it,” Parrish says. To ensure we’re getting the full picture, Parrish recommends keeping a journal for a few days and making a note each time we discover something that opposes our own belief. Seeing all of the information in writing can help us make a more informed and well-rounded decision. Pulitzer prize nominee, and bestselling author of Emotional Intelligence and Healing Emotions, Daniel Goleman recommends you check in on these five emotional intelligence competencies that help a leaders take the broad view and uncover their biases. You know that feeling of invincibility you get right before you do something you know you’re good at, only to find yourself in a cold sweat and not quite as prepared as you thought you were? That’s overconfidence. And while it may be harmless enough on a Friday night out with friends, it can cause serious damage when it influences decisions about your relationships or career. “We take outsized risks. We believe that we have information that other people don’t have, which causes us to be overconfident, to do things that we otherwise wouldn’t do,” Parrish explains. Pausing to recall a time you failed is one way to humble yourself. Another is to simply run your idea by another person, and ask them for their honest opinion. “And once you start honing in on that, that’s an opportunity for learning,” Parrish says. Of course, you don’t want to feel insecure and uncertain about everything you decide. But pausing to make sure you have all of the information before you jump head-first into a big decision, allowing time for your essential knowledge to bubble up, can help you be even more confident you’ve made the right choice.